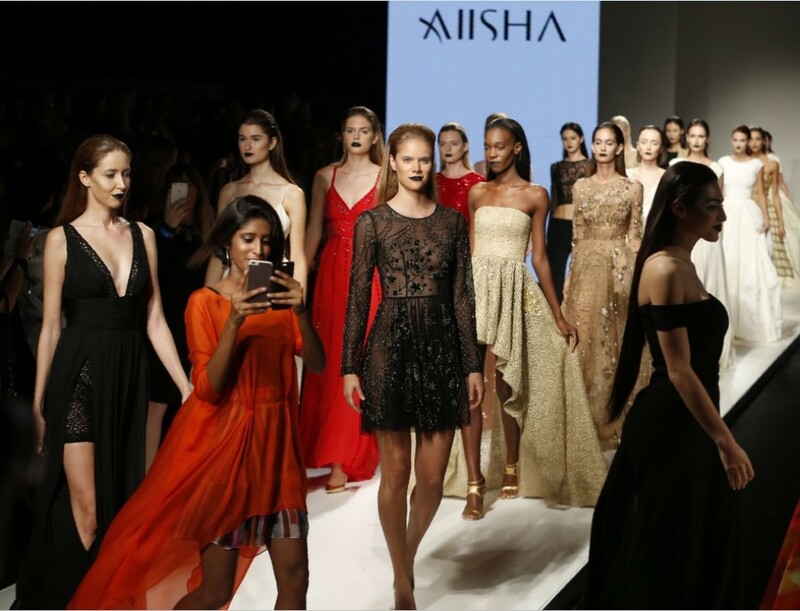 I have the pleasure to announce that our AIISHA S/S 2012 Couture collection Le Pouvoir De La Poudre will be presented in Paris for buyers to view from the 20th January until the 15th of February. The presentation coincides with the Paris Fashion Week as I’ll be there not only to meet buyers, but also to watch my favorite fashion shows like Elie Saab, Stephane Roland and George Hobeika. Viewing our collection is by appointment only. Kindly contact us for appointments. 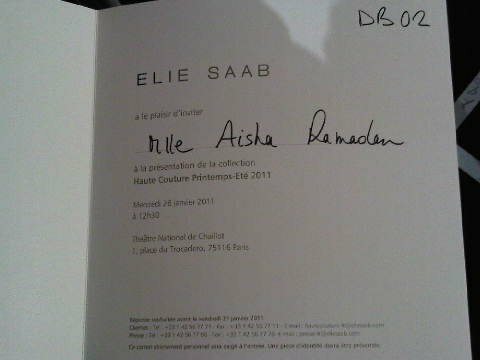 In the spirit of the Paris Fashion Week, and although its long over due, I wanted to share my experience at the Elie Saab fashion show at the Trocadero, Paris end of January 2011. 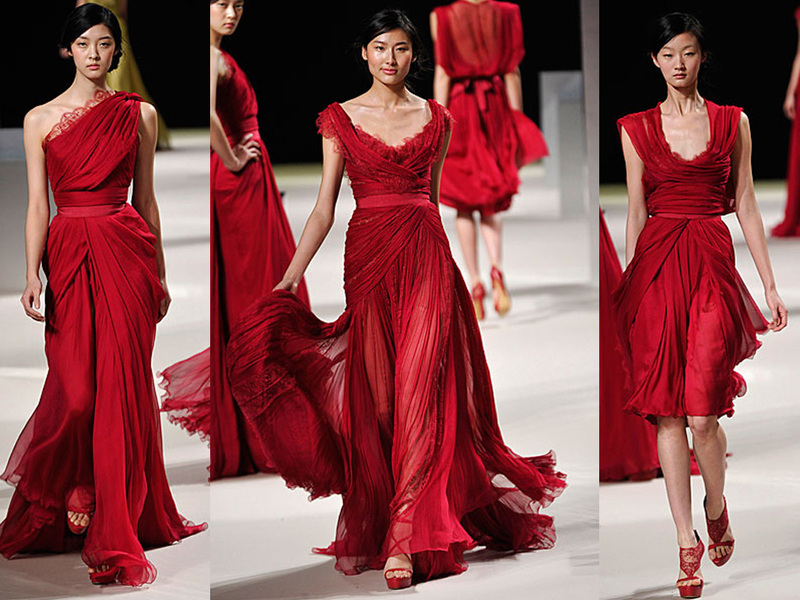 It was typical Elie Saab style with emphasis on the waist and an introduction to a interesting color palette such as deep lipstick red, dove grey inspired by the almond flower white, light peach. 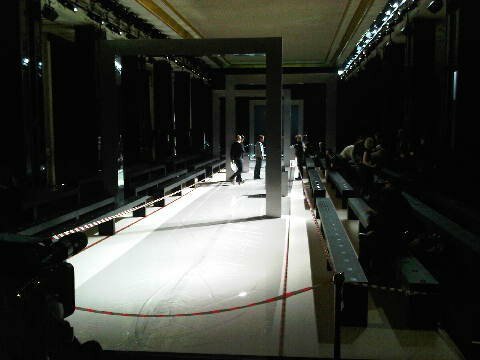 Here is some of what I captured from the backstage (so much tension)!